This stunning custom home built by Marshall Custom Homes is great for entertaining. Spacious great rm w/ fireplace opens to a chef’s kitchen w/ center island, stainless appliances & sunny breakfast room. Large walk in kitchen pantry. Master & guest located on the main level. Retreat to the main level master suite with spa like bath with two vanities, separate shower and tub. Upstairs you’ll find 2 bedrooms, large bonus and huge playroom. Wonderful quality, craftsmanship and unexpected finishes. Directions: Hwy 68 North, Turn right onto 150 (Oak Ridge Road), Turn right onto Bunch Road, Turn left onto Brookbank Road, Turn left on Koala Drive. Turn right onto Panda Court. 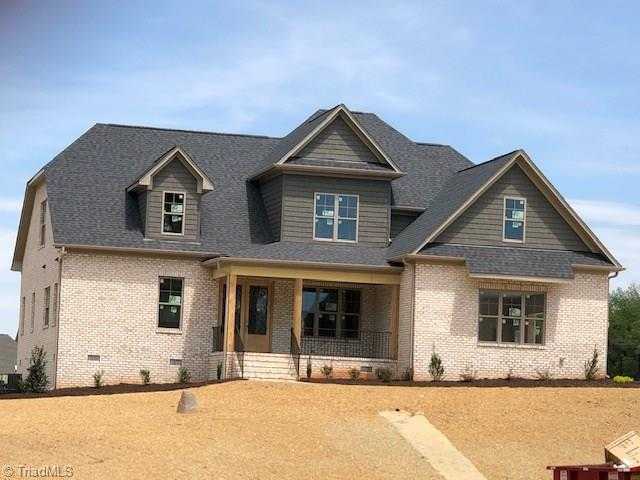 Please, send me more information on this property: MLS# 916212 – $535,900 – 7798 Panda Court, Oak Ridge, NC 27310. I would like to schedule a private showing for this property: MLS# 916212 – $535,900 – 7798 Panda Court, Oak Ridge, NC 27310.